The putter market appears to be rife with innovation. 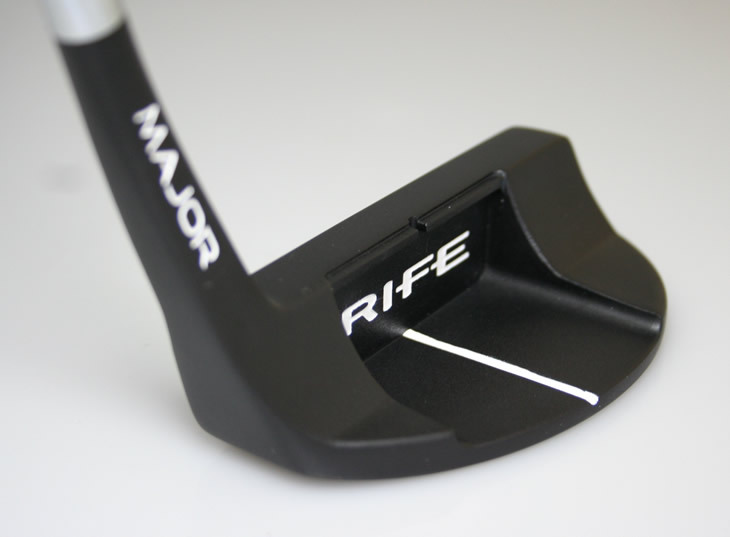 Therefore it is ironic that the latest innovative putters on the market come from a company named Rife. 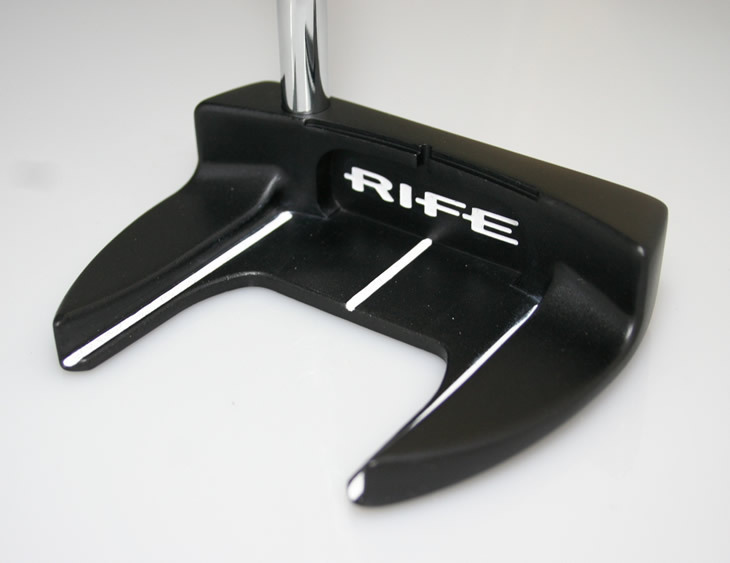 Rife was founded in 2000 and was the #1 putter on the Champions Tour in 2008 when they had over $9m of sales. In 2011, the company was bought by Innovex Golf and started a new chapter of putter-making resulting in their latest range, the Vault 002 putters. As you may know Rife built their company and success on the back of their grooved face technology and the Vault 002 range feature the latest Roll Groove faces. Each model features precisely spaced, milled grooves that are designed to gently press into the cover of the ball, interact with the dimples and lift the ball into an smooth, forward roll. 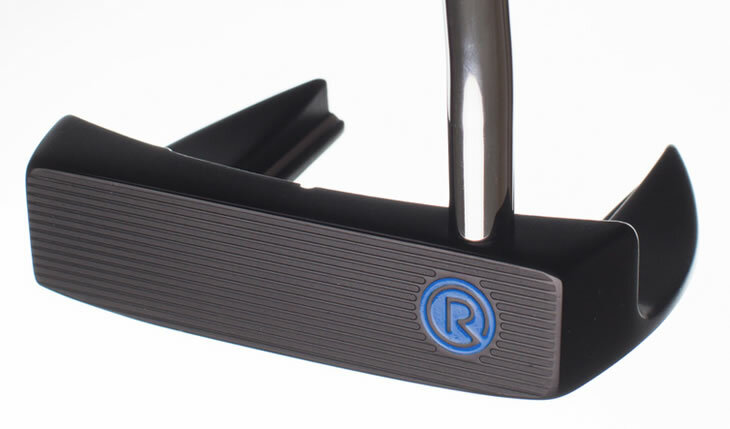 With that type of interaction with the ball, the Vault 002 putters do not require as much as loft as typical putters. Each model features just 2 degrees of loft, ensuring your ball is gripped, but not chipped. The three Vault 002 models vary in terms of appeal and size, but Rife believe there is a model in the range for every golfer's eye and needs. Here's a brief description and look at the three models, each will retail for under £100. The Duke model is a smooth-lined, heel/toe weighted blade. Rife believe it will appeal to the traditionalists with its trusted shape, simple black/white look and single alignment line. 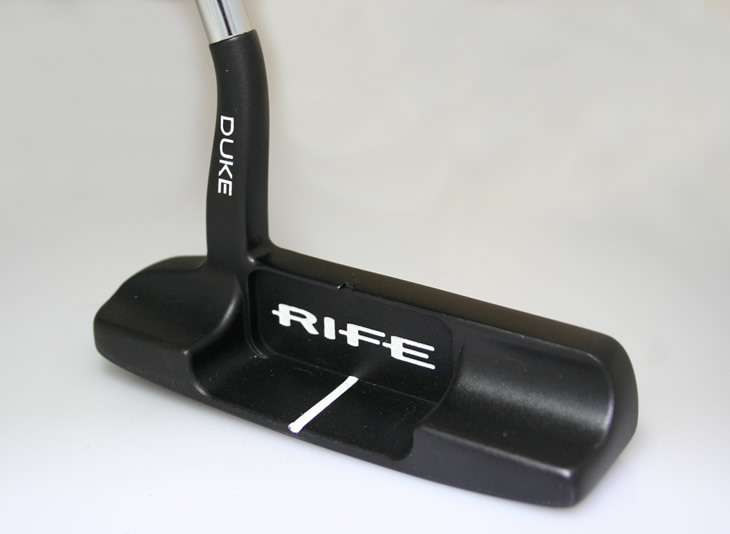 The Duke features a curved goose-neck hosel and half-shaft offset. 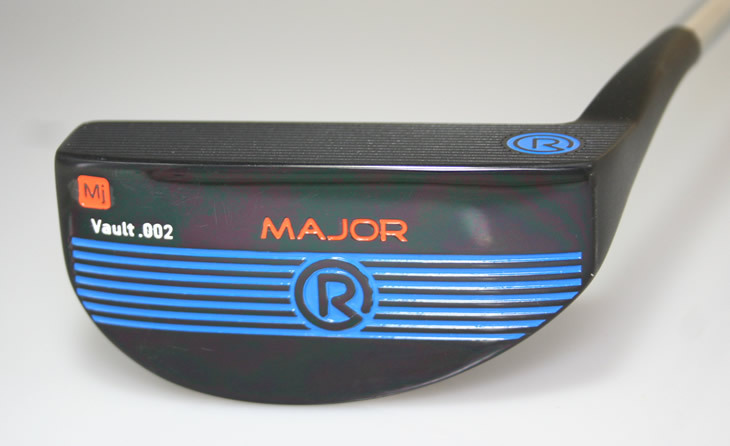 You might not be winning any majors in the near future, but Rife believe the Vault 002 Major putter could help your putting. It is a simple, mid-mallet shape with a flare neck hosel and half shaft offset. It features a forgiving perimeter weighted design that bevels smoothly away from the face. Look closely and you will also see the Major's unique "T" alignment aid atop the head. The Vault 002 General model is designed for enhanced forgiveness and alignment. Two, long wings stretch back from the toe and the head which help to increase MOI and stability, whilst three white alignment lines combine with the Rife's "T" alignment aid to get you set-up at address. Two sets of removable weights help customise for ideal set-up.